Explore Perth's surroundings by going to Fremantle (Fremantle History Walking Tour & Fremantle Prison), Caversham Wildlife Park (in Whiteman) and Railway Reserve Heritage Trail (in Mundaring). Dedicate the 20th (Fri) to wine at some of the top wineries in the area. 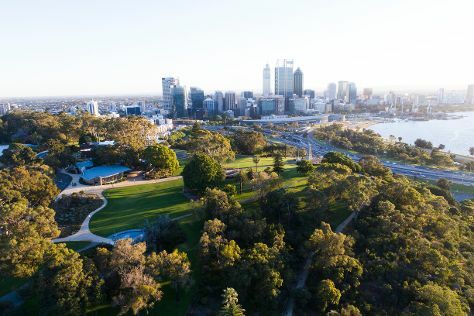 And it doesn't end there: admire the natural beauty at Kings Park & Botanic Garden, contemplate the waterfront views at Swan River, admire the masterpieces at Art Gallery of Western Australia, and kick back and relax at Cottesloe Beach. For maps, other places to visit, traveler tips, and more tourist information, you can read our Perth trip itinerary maker . Sydney to Perth is an approximately 7.5-hour flight. You can also drive; or do a combination of bus and train. Traveling from Sydney to Perth, you'll gain 2 hours due to the time zone difference. Traveling from Sydney in December, you can expect nighttime temperatures to be little chillier in Perth, with lows of 17°C. Cap off your sightseeing on the 24th (Tue) early enough to travel to Ottawa. Explore Ottawa's surroundings by going to Morrisburg (Upper Canada Village & Stone Crop Acres Winery and Vineyard). There's much more to do: ponder the world of politics at Parliament Hill and Buildings, see the interesting displays at National Gallery of Canada, wander the streets of ByWard Market, and learn about all things military at Canadian War Museum. For ratings, reviews, more things to do, and tourist information, you can read our Ottawa day trip app . Traveling by flight from Perth to Ottawa takes 30 hours. Alternatively, you can do a combination of flight and train. You'll gain 13 hours traveling from Perth to Ottawa due to the time zone difference. Plan for colder temperatures traveling from Perth in December, with highs in Ottawa at -2°C and lows at -9°C. Finish your sightseeing early on the 3rd (Fri) to allow enough time to travel to Las Vegas. Step out of Las Vegas to go to Boulder City and see Hoover Dam, which is approximately 50 minutes away. 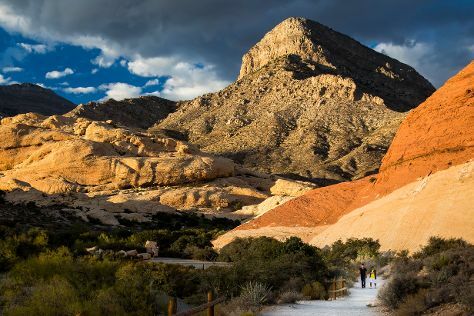 The adventure continues: explore the stunning scenery at Red Rock Canyon National Conservation Area, ponder the design of Bellagio Fountains, enjoy breathtaking views from Stratosphere Tower, and see the world from above with a helicopter tour. For reviews, where to stay, photos, and tourist information, refer to the Las Vegas day trip planning tool . Traveling by flight from Ottawa to Las Vegas takes 10.5 hours. Alternatively, you can do a combination of train and flight; or drive. Traveling from Ottawa to Las Vegas, you'll gain 3 hours due to the time zone difference. Traveling from Ottawa in January, expect Las Vegas to be warmer, temps between 17°C and 5°C. Wrap up your sightseeing on the 14th (Tue) to allow time to travel back home.